Costa was sent off in the first half of Saturday's 2-0 LaLiga loss away to Barcelona, which left Diego Simeone's side 11 points behind the league leaders. The Spain international saw red after an outburst aimed at referee Jesus Gil Manzano, who claimed the striker insulted his mother and grabbed his arm after being given his marching orders at Camp Nou. Simeone described the ban as "too much" but the RFEF announced on Friday its Appeals Committee had rejected Atletico's case. However, the club can still appeal against the ban by raising the issue with Spain's Administrative Court for Sport (TAD). 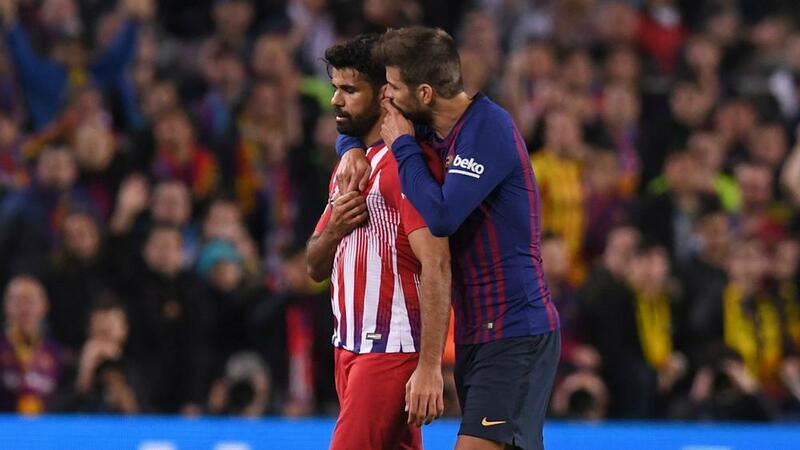 Costa will not be able available for the rest of the season if the sanction stands, with Atletico having just seven LaLiga matches left.